March 19, 2019 March 24, 2019 - by Miriam Jones - 4 Comments. Lipozene makes the claim to be clinically proven to reduce body fat. Does Lipozene work? My hope is that this review will shed some light on Lipozene, and the company that is behind Lipozene as well. Lipozene contains one single ingredient: Glucomannan. Lipozene has become well-known not because its a superior product, but because the infomercial runs over and over and over late at night. 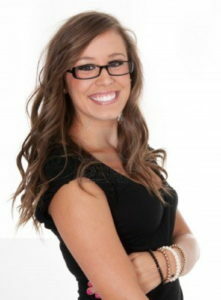 You get to hear testimonials from ladies like this that tell you, You can’t do it alone. Why thanks for the motivation! 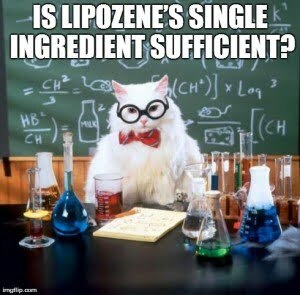 Is Lipozene’s Single Ingredient Sufficient? What about the Company Behind Lipozene? The single ingredient, Glucomannan (which I reviewed thoroughly) does show in studies to promote weight loss. The dosage used in these studies, however, is a minimum of 2,000 mg. How much does Lipozene have? 1,500 mg. According to the studies, with the dosage between 2 and 4 grams per day, over a period of eight weeks the mean weight loss was 5.5 pounds. Nothing to write home about, but weight loss is weight loss. 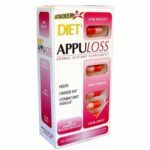 Clinically proven to help you lose pounds of Body Fat and Weight WITHOUT a change in lifestyle. Well, what they really mean to say is that Glucomannan, the ingredient, has the clinical proof at a different dosage. 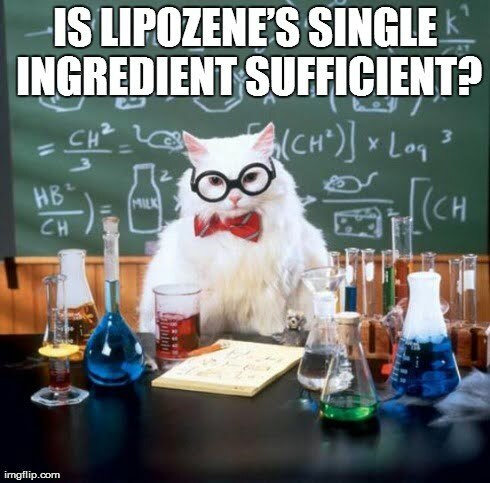 They infer that Lipozene as a product is the one with the clinical trials, but thats not the case. There are actually no really dangerous side effects from taking this pill. 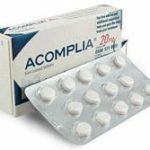 However, there have been people reporting problems with diarrhea, gas and bloatedness. This is due to the fact that Lipozene contains Glucomannan which is a fiber, so you would experience side effects similar to eating too much fiber. You have to be careful about how you order. 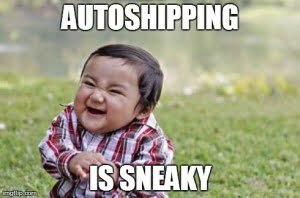 They make it all too easy to accidentally choose the Autoship option, where they keep sending you product (and billing your credit card) month after month. If you do decide to go with Lipozene (and the next part of this review will probably convince you not to) then be explicit that you do not want the autoship option. Theyll try and push it on you, but just stick to your guns. Obesity Research Institute LLC is also the makers of Propolene (a popular product on RipOffReport.com). Well, they were the makers of Propolene. All of the complaints stem from 2004 to 2006. Lipozene is obviously their new pill, under a new name, so they can avoid the lambasting they received from consumers when countless consumers had their cards charged without authorization. 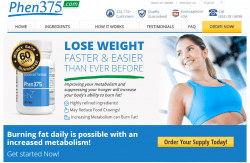 The makers of Lipozene have had a run-in with the FTC as well, ordered to pay $1.5 million in consumer redress. It had to do primarily with Obesity Research Institute making outlandish claims about the results that consumers would have if they used their product. They also used the infomercial format almost exclusively. 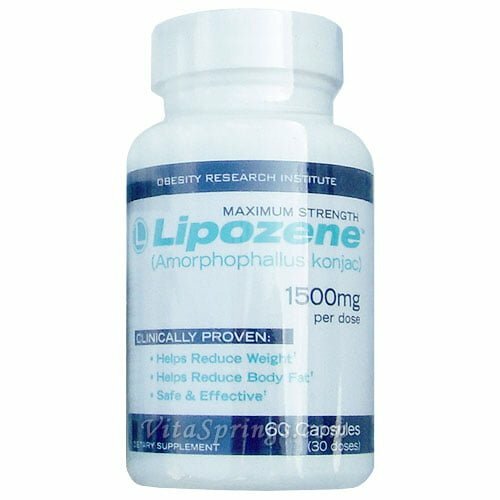 You can orderLipozene from Amazon at a price of $16.99 per bottle with 60 capsules. Remember to read user reviews while you’re there. 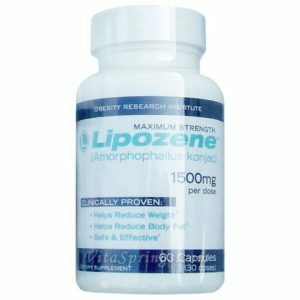 You can also get it from Lipozene.com, but don’t forget about the autoshipping! Lipozene is a one-trick pony, where youre not sure the pony will actually do the trick. 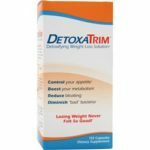 There are no thermogenic ingredients and the glucomannan dosage is low enough to cast doubt on its effectiveness, though it may provide a few pounds of weight loss over several months. Better results could be found certainly with other diet pill options. Finally, the makers of Lipozene have a very checkered past, which makes me heavily recommend looking elsewhere for a weight loss supplement. This is my email to Lipozene. I’m so angry with them I am shaking. LIPOZENE is a scam. I did not even finish my order because you tried coning me into spending over $150.00. I told the lady to STOP right there, we are going no further, you are a scam and to LOSE my VISA number and this order to be deleted. that was early Sat morning. I now have money pending to be taken out of my account from Lipozene. really? I didn’t even finish my order with you and told the lady to CANCEL and remove my information! How can you possibly call that good customer service? Then when I called to tell you to cancel the money coming out of my account, you told me I had to wait to get the order, then cancel and get the return information! Really – again? I DIDN’T ORDER – I stopped it before the call was done! I will be letting the BBB know of your behavior and your stealing of my money. Yes, it is THEFT when I did not agree to this and I told the lady to remove all information before we got off of the phone! THEFT, SWINDLE. I will now call my bank and tell them this transaction is NOT to be completed! Thank you for your horrible service in the beginning and when I called to get my money stopped. I have just had the EXACT problem. I am going to try to get my bank to stop any possible payments. I hope you got it sorted out.